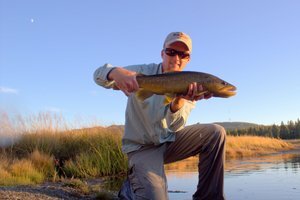 The Trout Zone: Where Should I Go Fishing? Another suggestion would be Nantahala and/or the tuck. DH starts Oct. 1st. NC license is CHEAP, and from what Daniel says, the year license is valid 365 days from date of purchase! I would say the Cumberland. 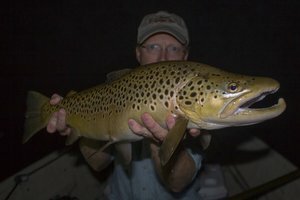 The browns should be in prespawn, makes me think of the SoHo from last year. I plan on being there the second weekend in Oct. Don't know yet where I will be staying, probably camping below the dam. 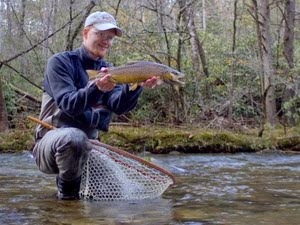 Scratch the Caney and Smokies off your list. Try something different...like the Cumby. Dog, I'm about 95% sure that I will try the Cumberland at least once this break...I'm excited! 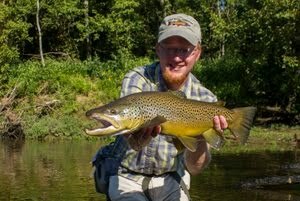 Just funnin' with ya ;) I know you like to target those big browns; one day, probably when I'm retired and am living up there full-time, I'll have the time to do the same. Right now, every trip has a large clock ticking in the background, so we have to concentrate on the "easy" fish...which means the smaller ones, for the most part. 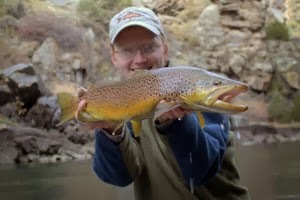 However, this last trip I was able to make myself pass up marginal areas, and I concentrated on the better areas...my numbers and average size went up, topped with a couple of 8 inch brookies and a 9 inch bow, all from a very small stream.